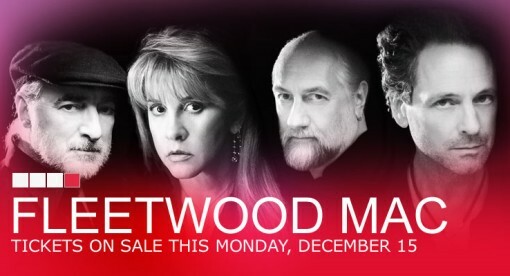 In other great Fleetwood Mac news, the iconographic ‘RUMOURS’ CD (certified Diamond (R) signifying sales of over 10 million units by the RIAA) is scheduled to be re-released as part of a special CD/DVD boxed set on Reprise Records in conjunction with the tour dates. The boxed set will include previously unreleased tracks recorded during the making of ‘RUMOURS’ as well as a DVD component with never before seen footage of the band. Here’s the first set of tour dates, more dates to come.